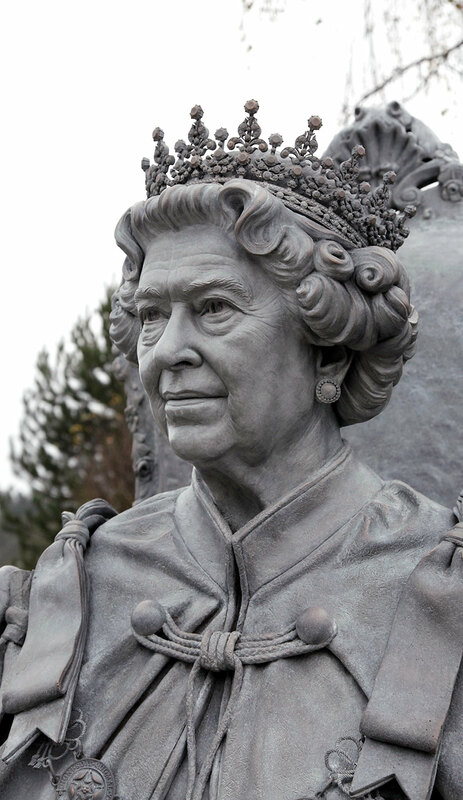 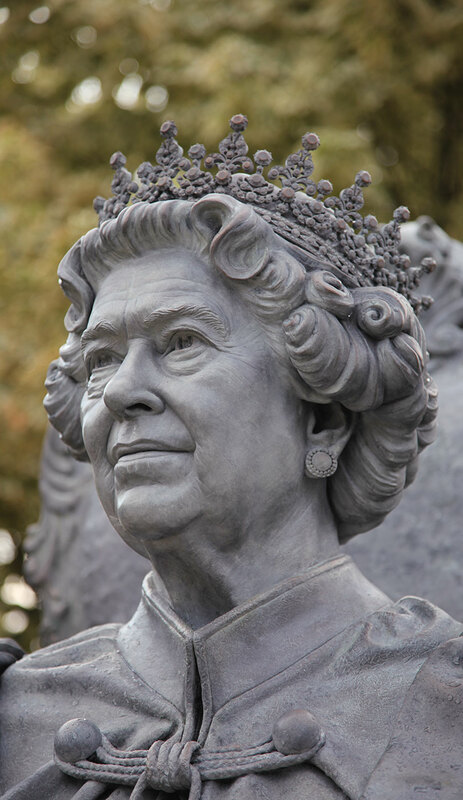 The statue of Her Majesty Queen Elizabeth II to celebrate our longest reigning monarch was unveiled on the 26th July on the banks of the River Thames. 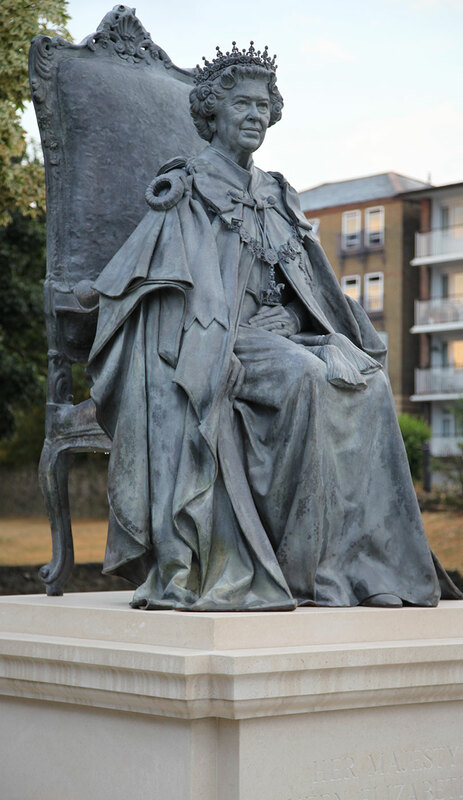 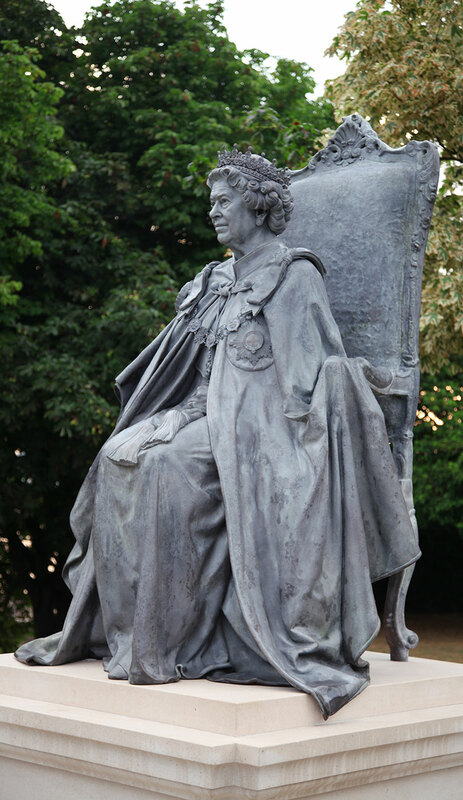 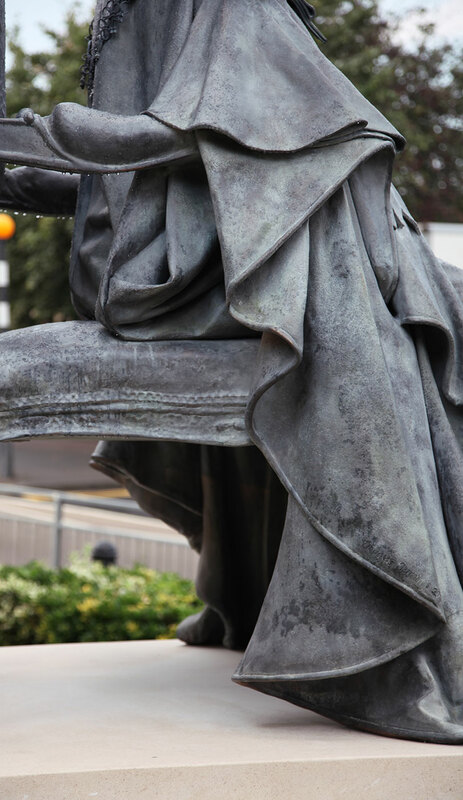 The bronze statue portrays the Sovereign seated in her Order of the Garter robes and is thought to be the only such sculpture of the Queen in existence. 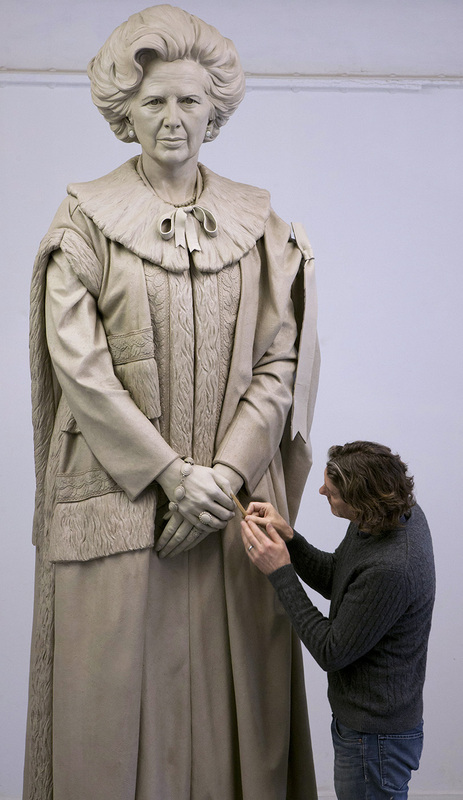 Preparation for the work included detailed research assisted by the Queen’s team of wardrobe archivists at Kensington Palace. 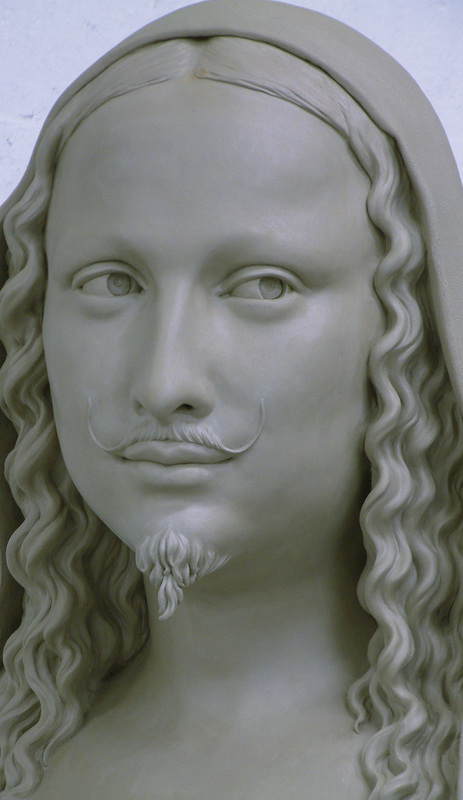 The piece is a classic example of Jennings’ exploration of the traditional 400-year-old sculpting methods immortalized by the work of the European Renaissance sculptors. 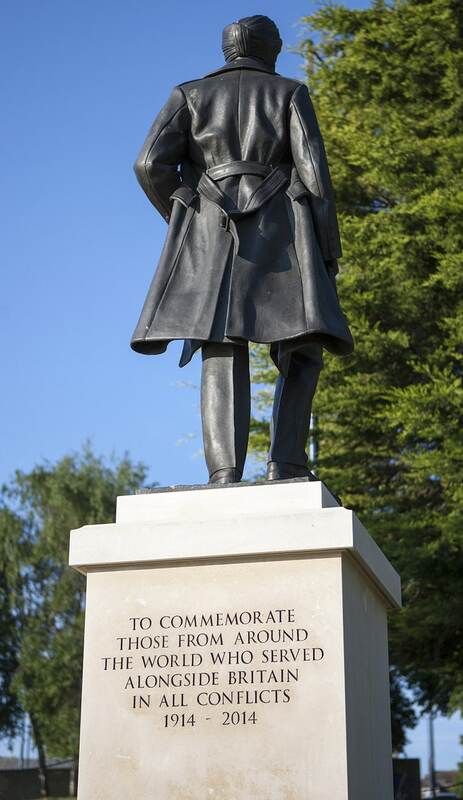 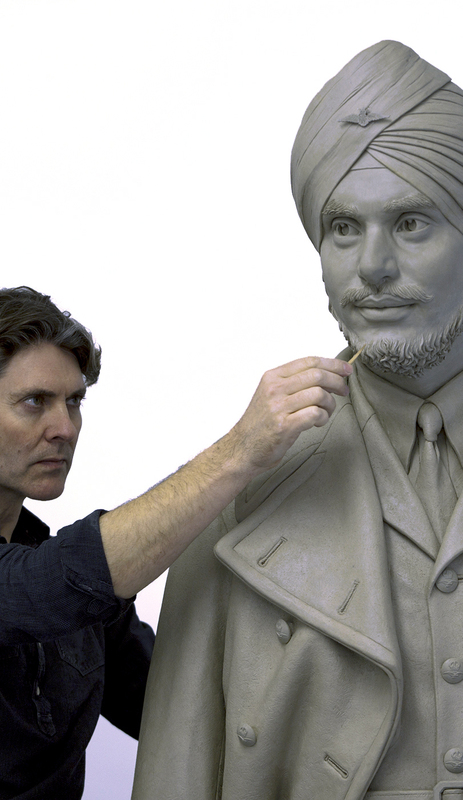 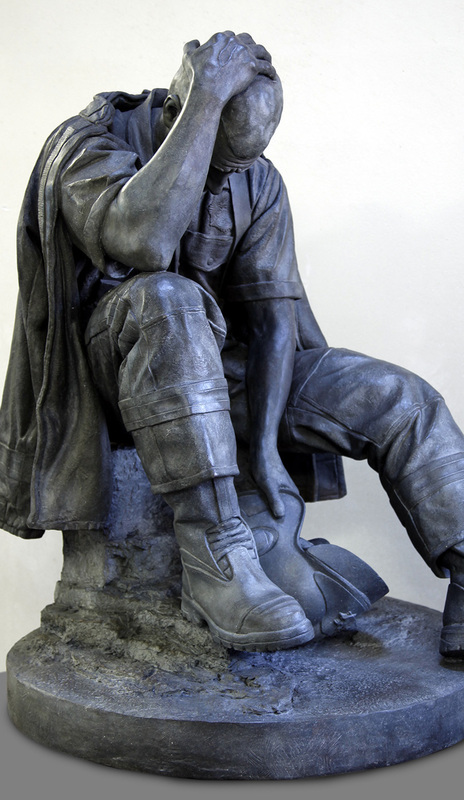 This bronze memorial statue represents and celebrates the involvement of all those from the Commonwealth who volunteered to serve Britain in military campaigns between 1914-2014. 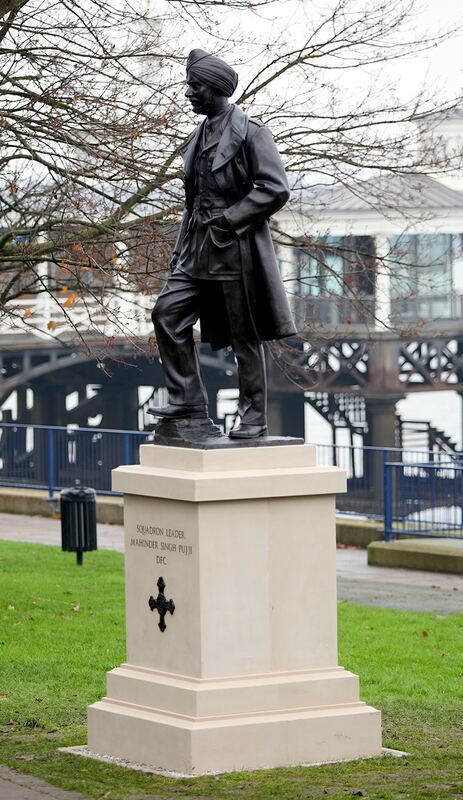 It depicts Squadron Leader Mahinder Singh Pujji (1918-2010) who lived in Gravesend. 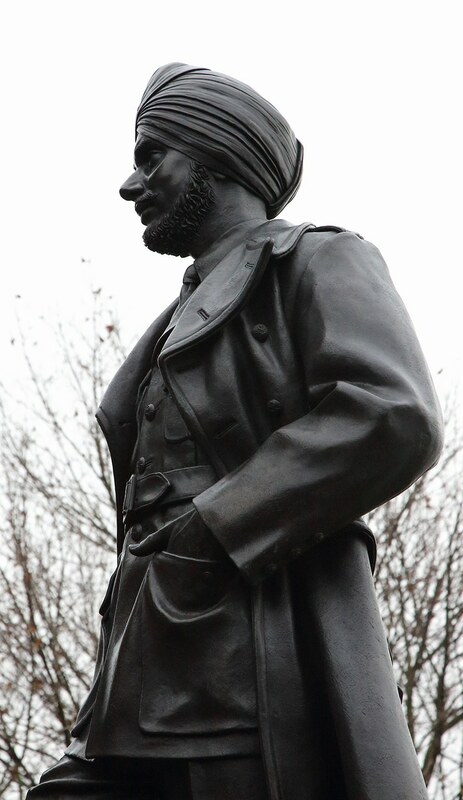 He was one of the first Indian Sikh pilots to fly with the RAF during World War II. 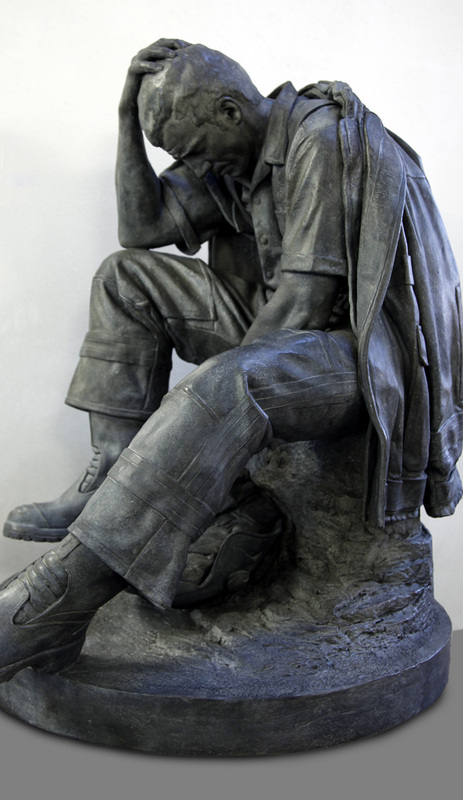 The statue won the Marsh Award for Excellence in Public Sculpture 2015 presented by the Public Monuments and Sculpture Association. 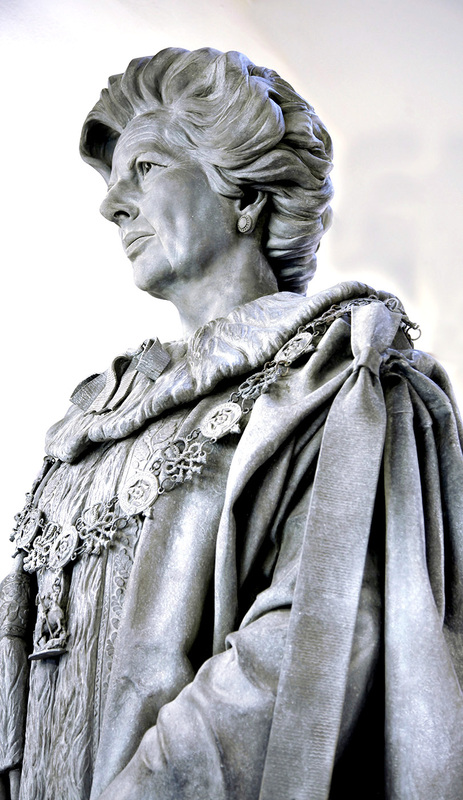 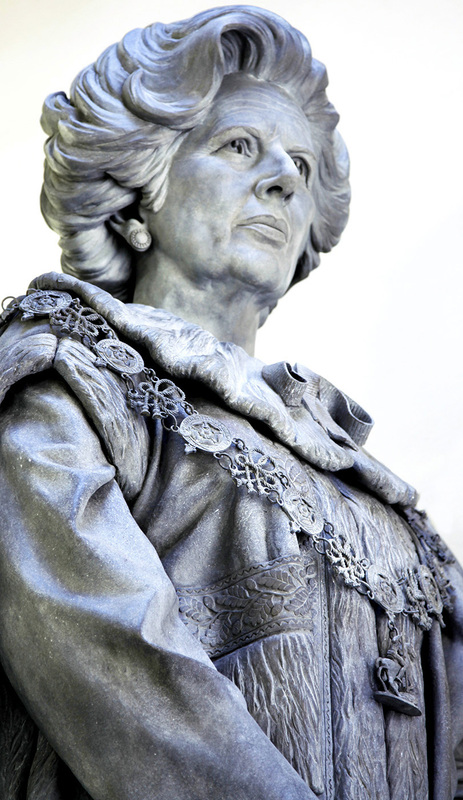 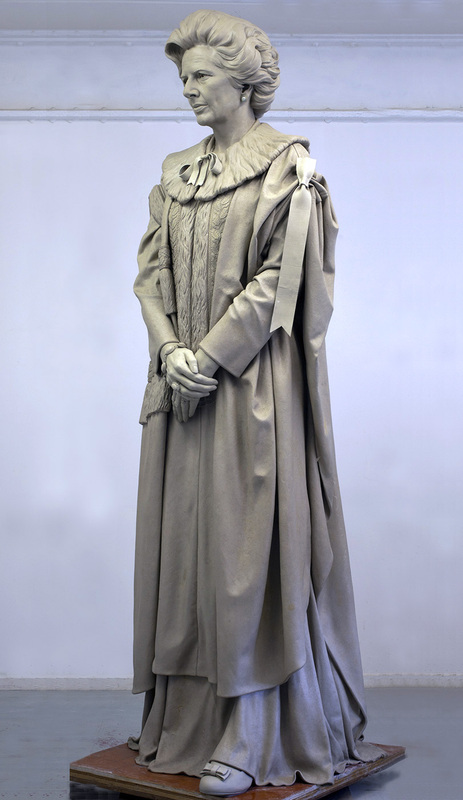 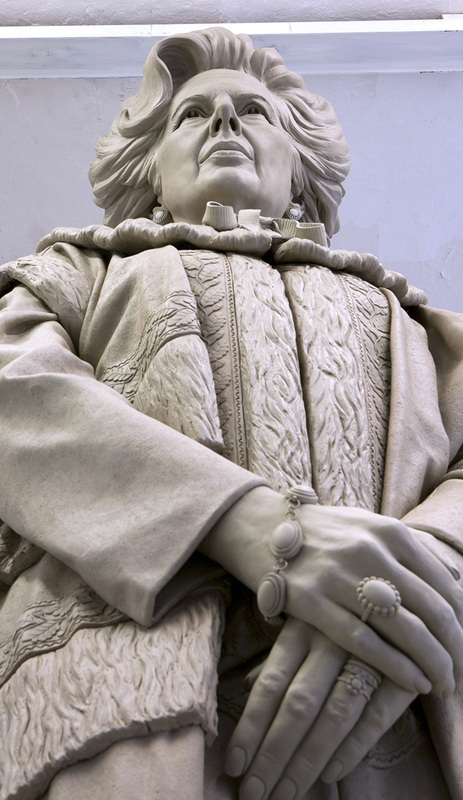 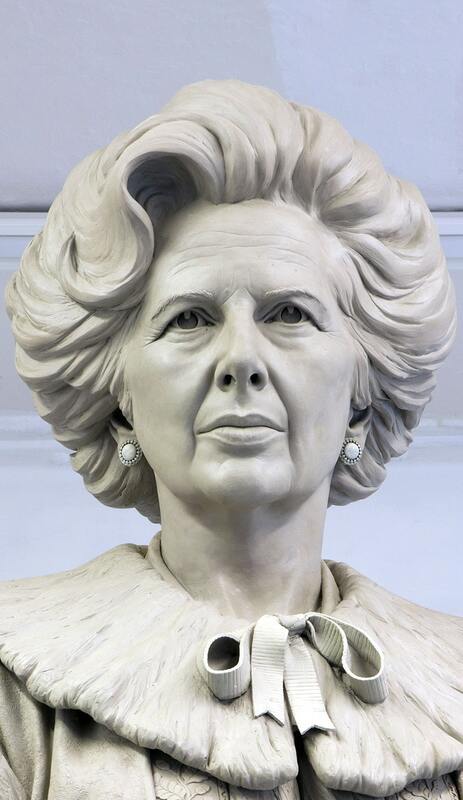 Controversial bronze memorial statue of Margaret Thatcher dressed in full ceremonial robes of the House of Lords, where she sat as a Baroness following her 11-year prime ministerial tenure. 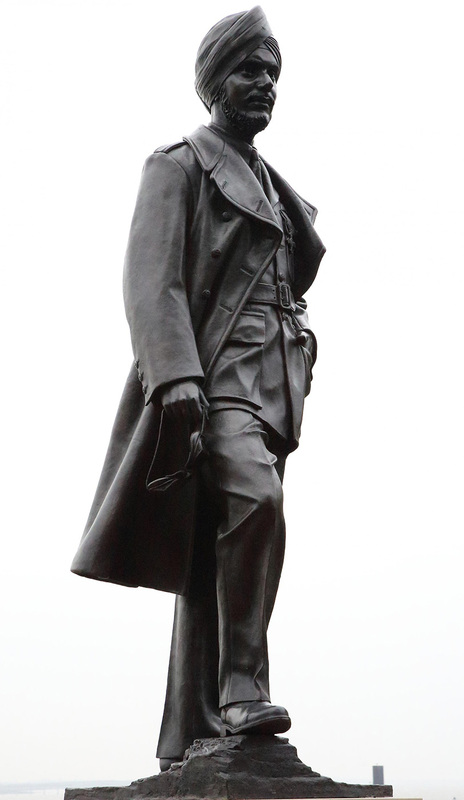 The statue is placed on a stately granite plinth, giving an overall height of 8 meters. 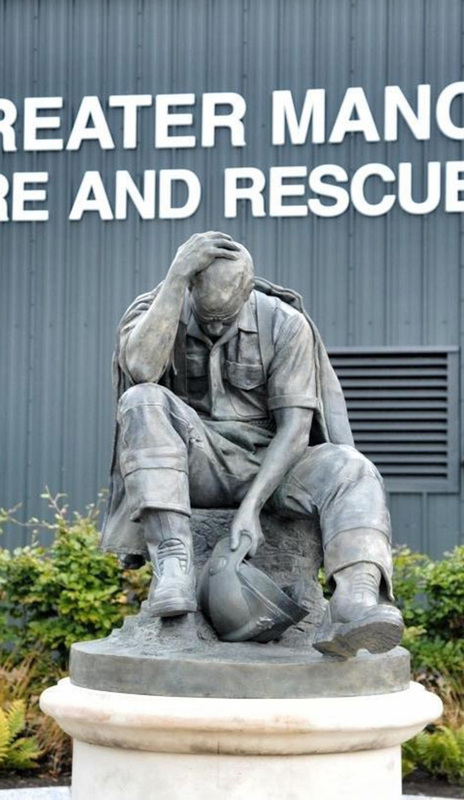 A tribute to all firefighters who lost their lives in service across Manchester, unveiled by the Mayor of Greater Manchester, Andy Burnham. 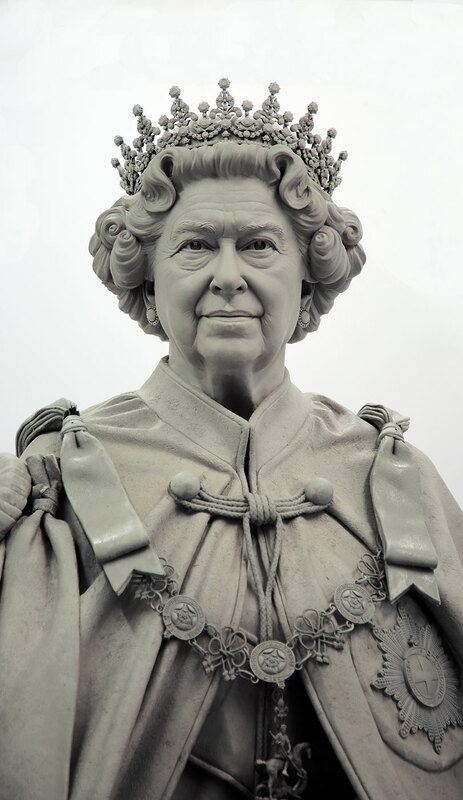 The inscription ‘That Others May Live’ is carved into the Portland stone plinth. 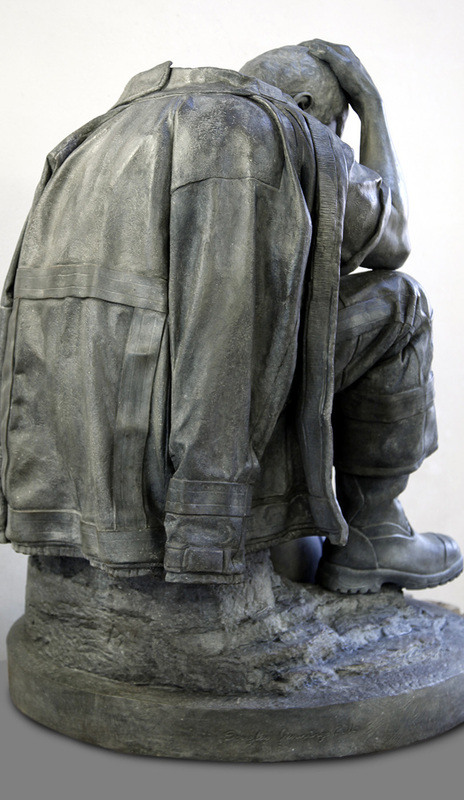 The memorial carries a plaque with the names of all the fallen firefighters. 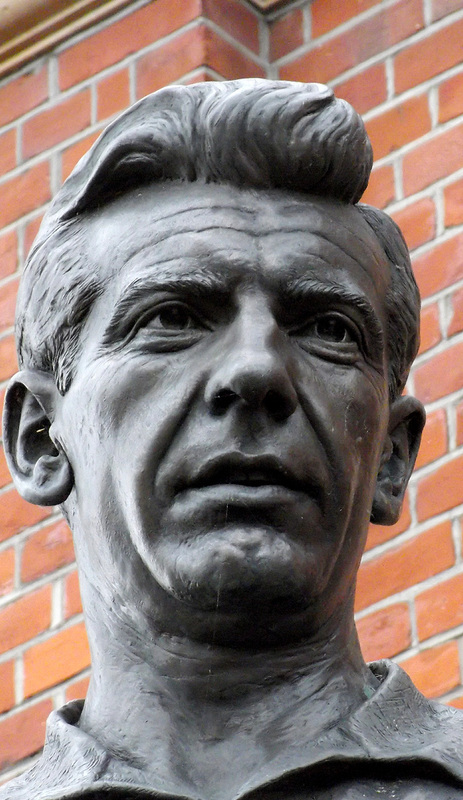 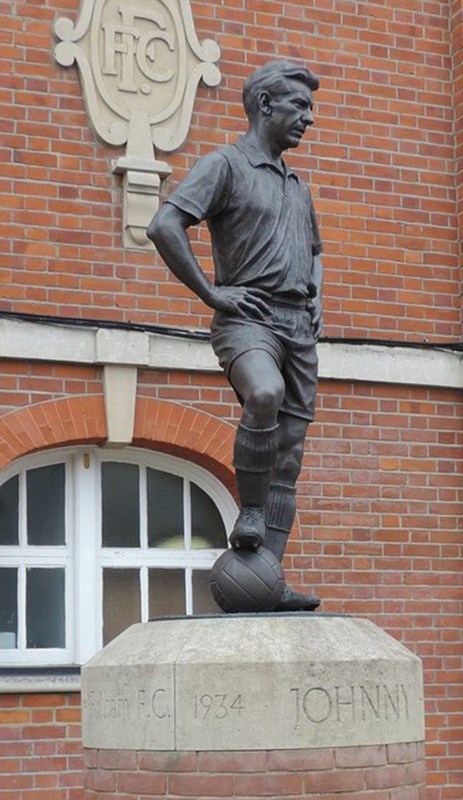 Bronze memorial of Johnny Haynes, best known for his 18 years at Fulham FC. 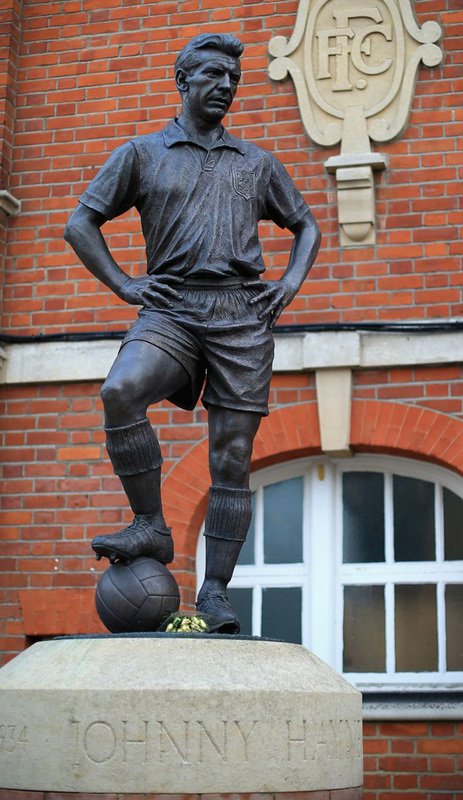 Haynes is widely regarded as the greatest footballer ever to play for the London club. 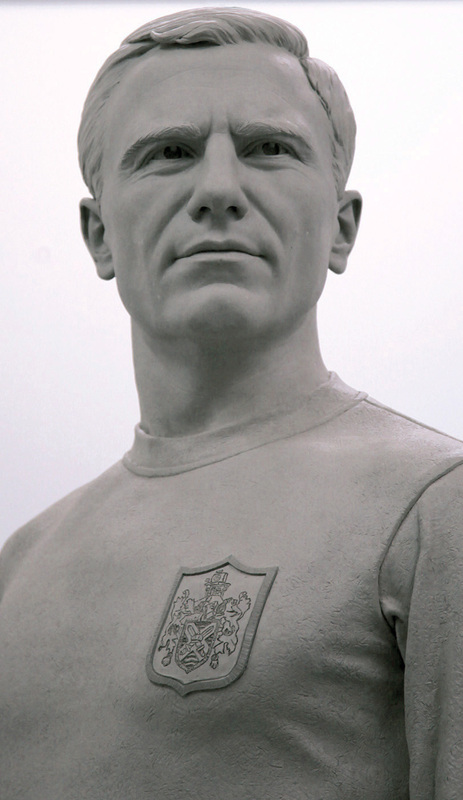 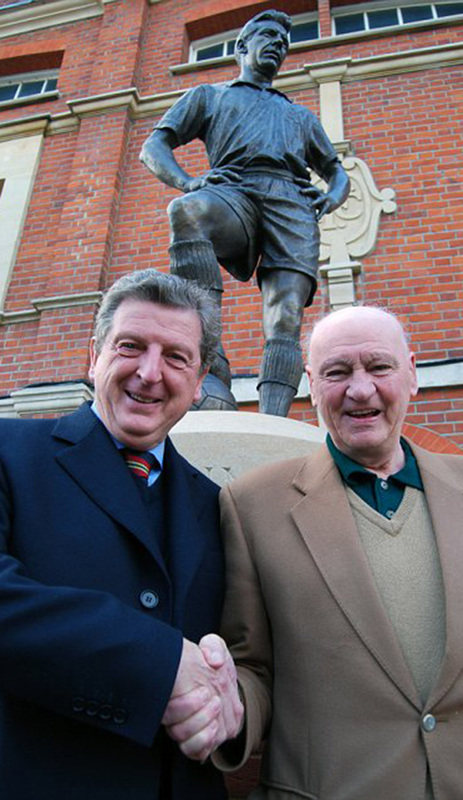 An accomplished international player, he also made 56 appearances for England, including 22 as Captain. 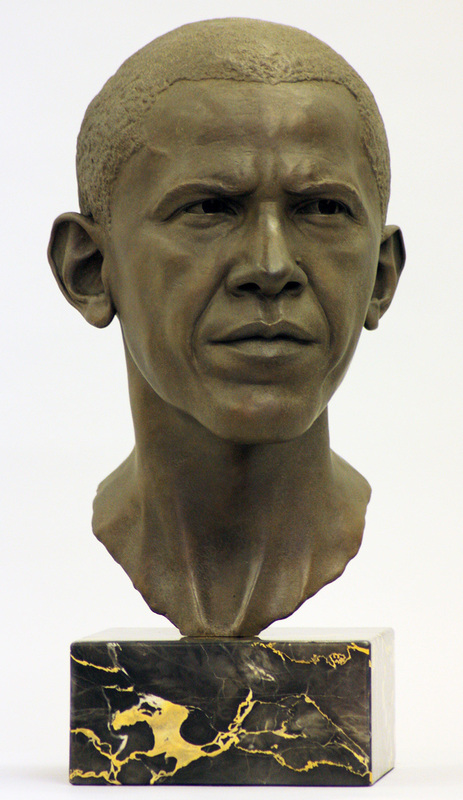 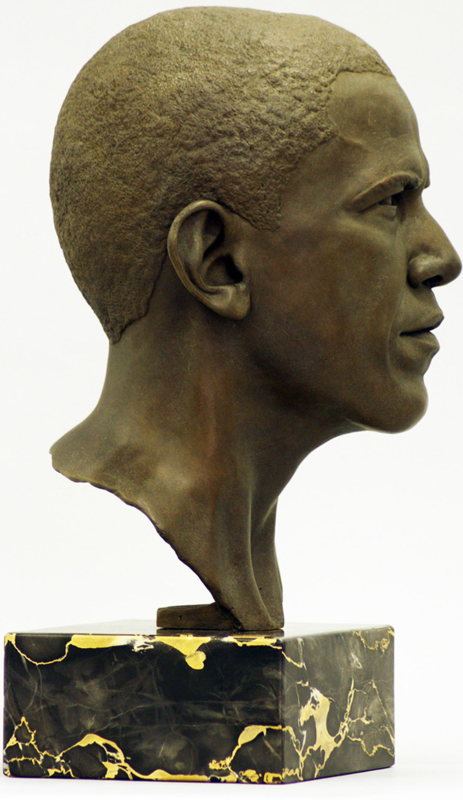 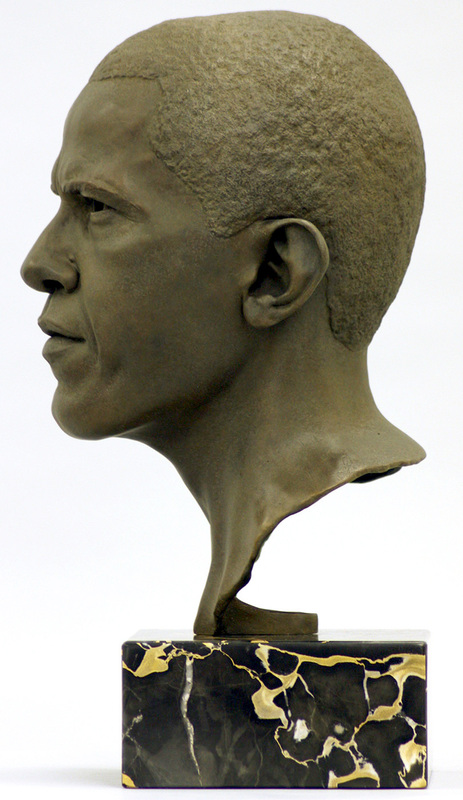 Bronze commemorative bust of Barack Hussein Obama who served as the first African American President of the United States from 2009 to 2017. 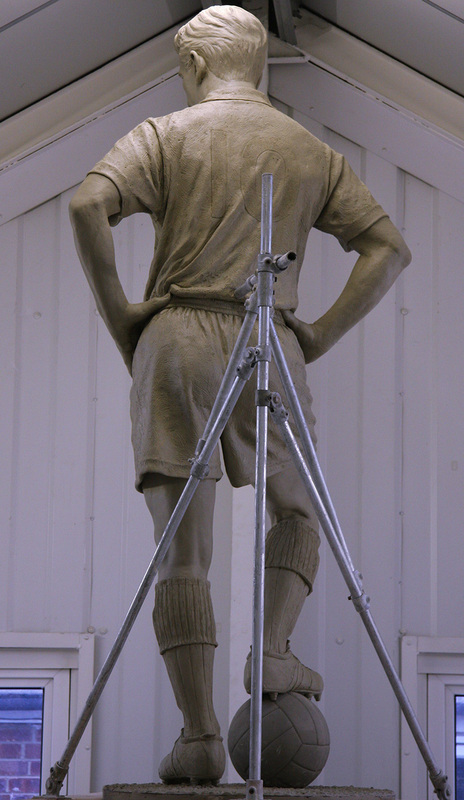 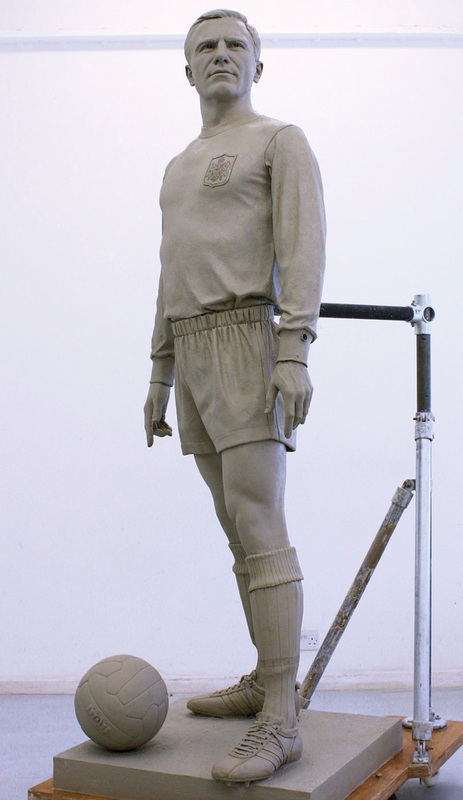 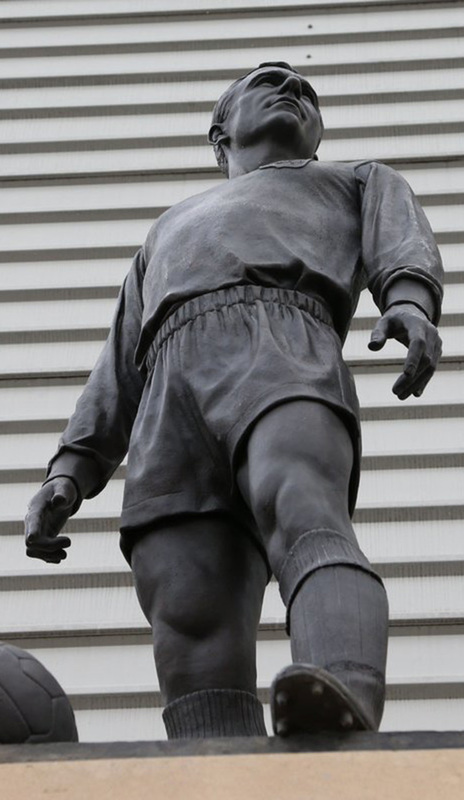 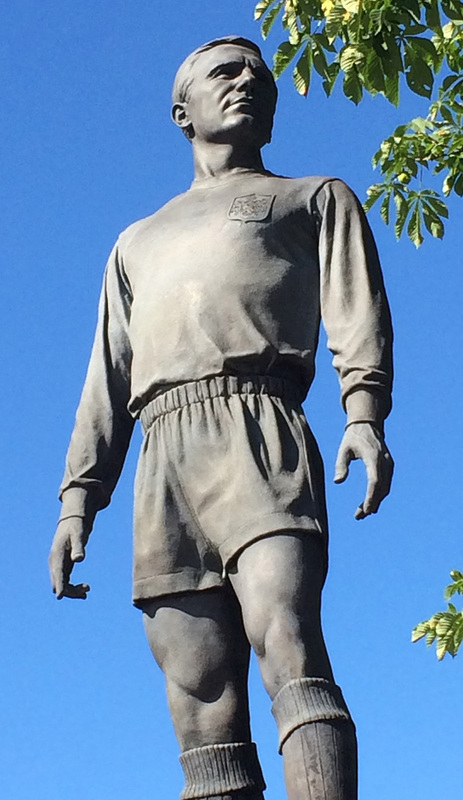 A commemorative bronze statue of George Cohen MBE, Fulham FC and England hero, celebrating his remarkable career and the 50th anniversary of England’s famous World Cup victory in 1966. 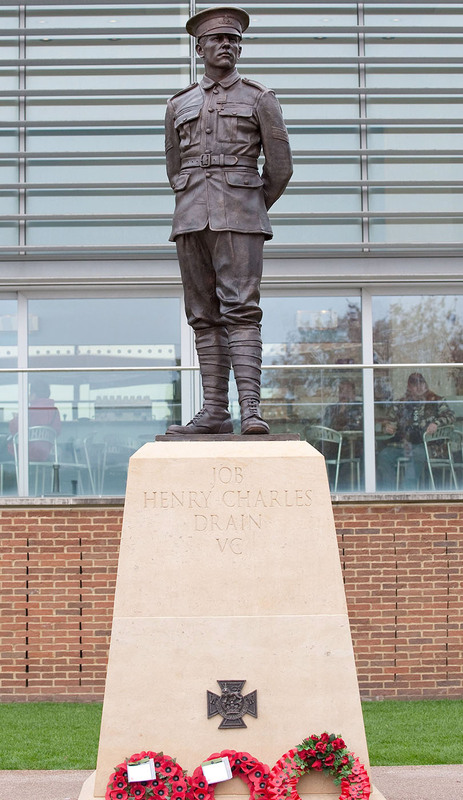 Bronze memorial of Job Henry Drain VC, erected in honour of those from Barking and Dagenham who died during the Great War. 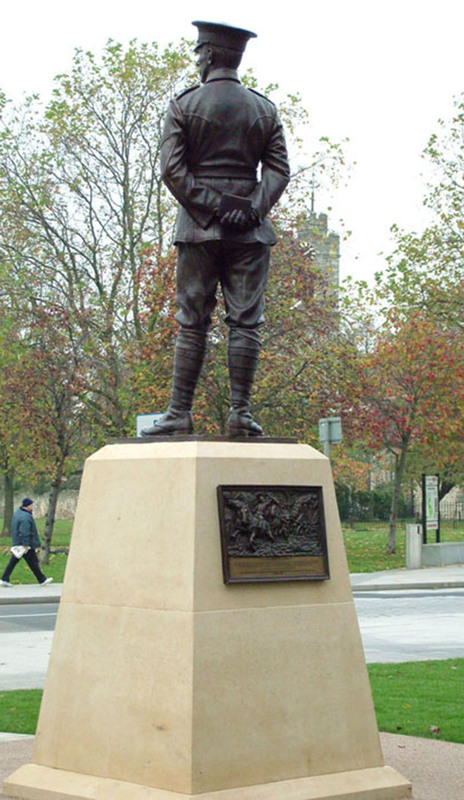 Drain, born in Barking, was a driver in the Royal Field Artillery. 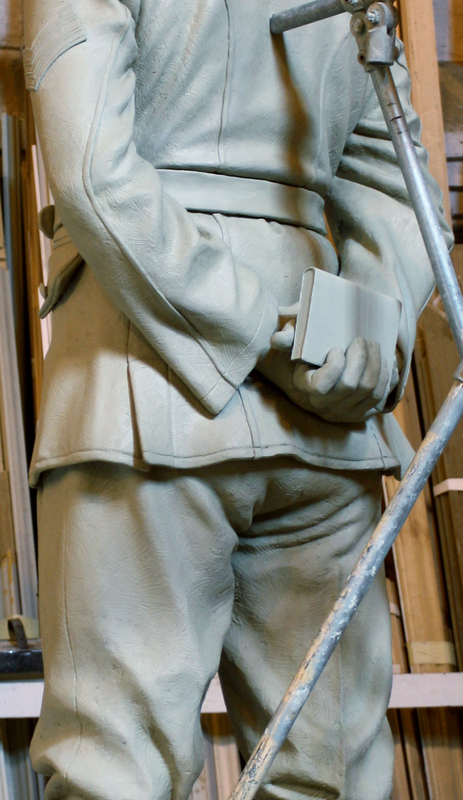 On the reverse of the Bath stone plinth is a plaque depicting Job Drain’s heroic action in saving the guns at Le Cateau, France in 1914. 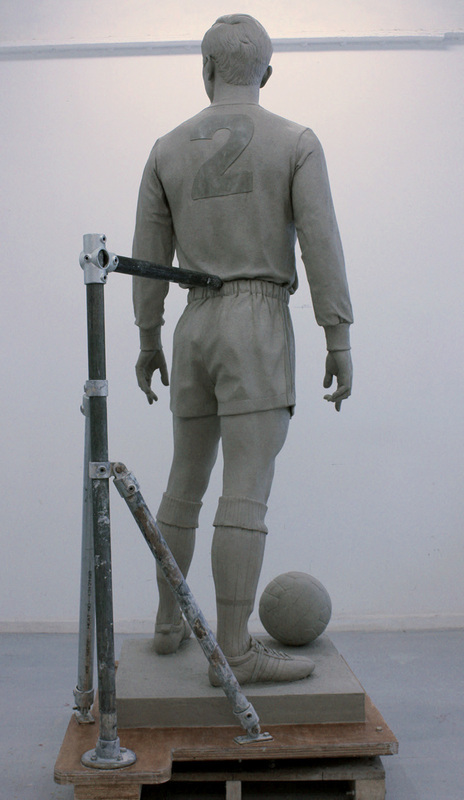 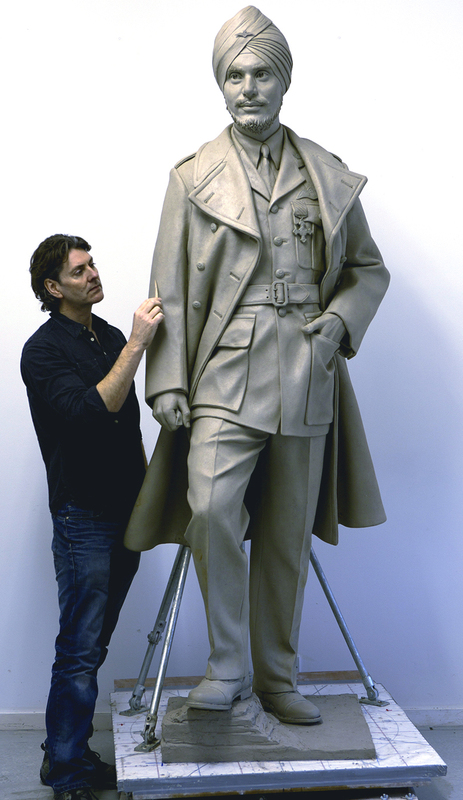 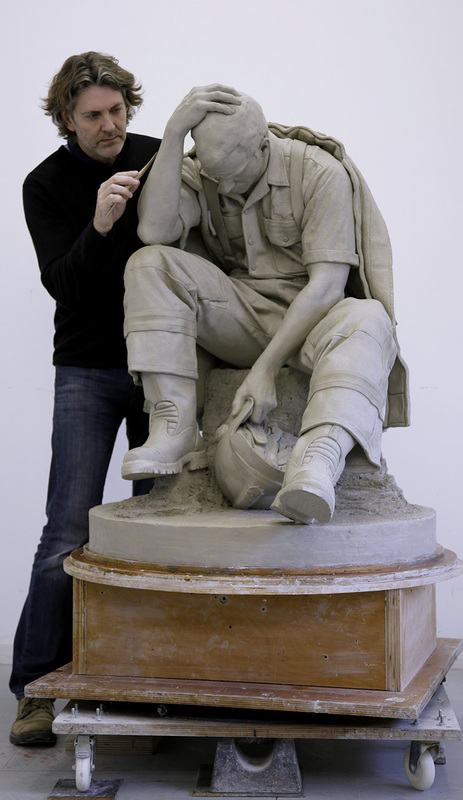 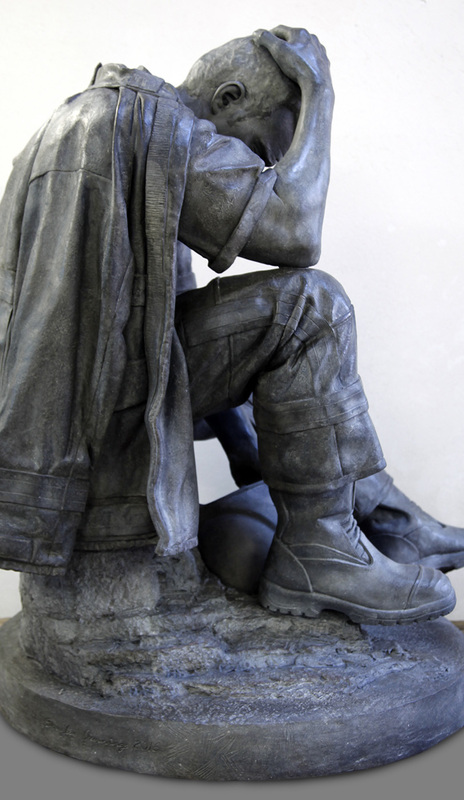 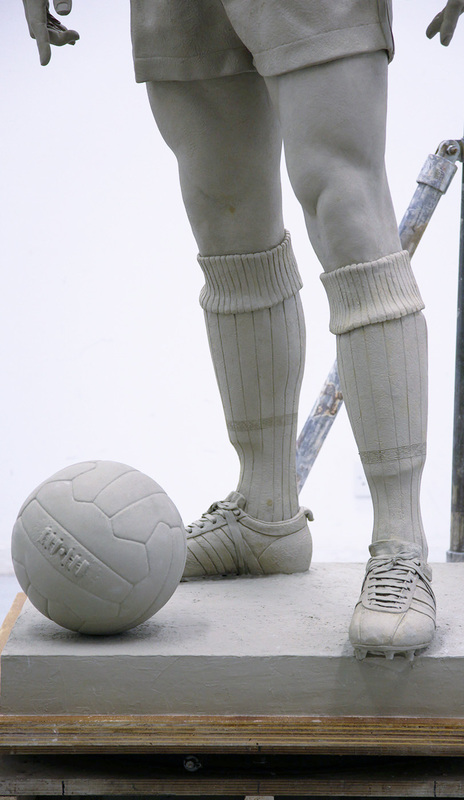 This piece was a collaboration between principle sculptor Steven Hunter, Douglas Jennings MRBS and Mark Barnett. 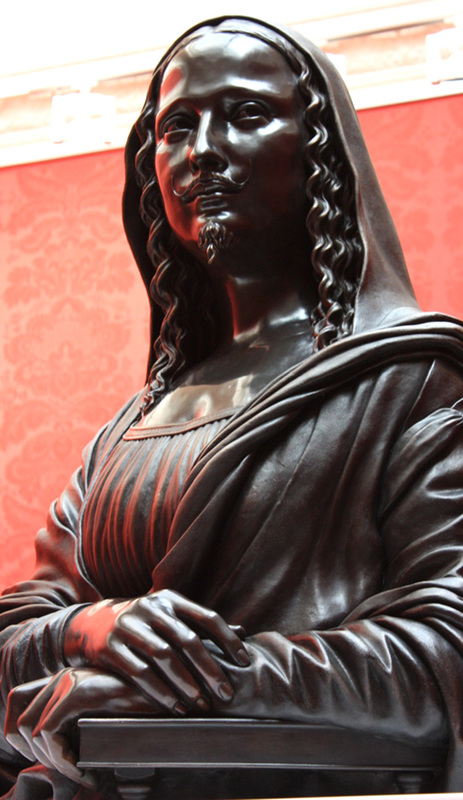 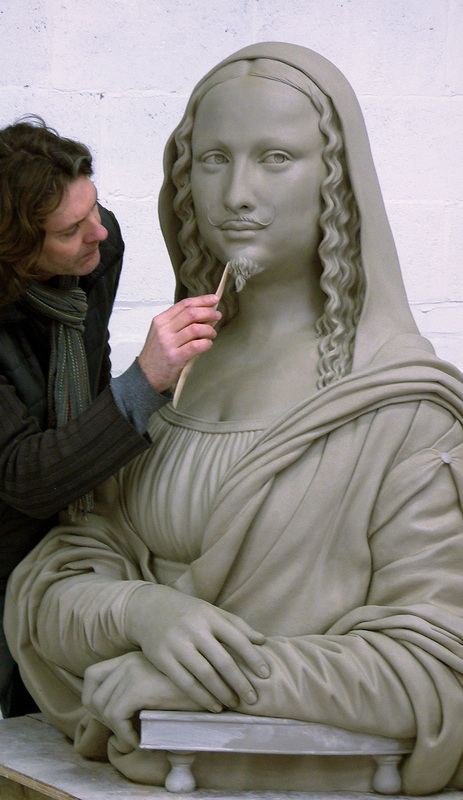 A striking three-dimensional reworking of Duchamp’s mustachioed Mona Lisa, cast in black bronze.